When a horse comes from an impressive bloodline and becomes a top performer they usually end up being sold at a high price. Top quality stallions are always in demand because of their ability to sire some very successful offspring. In the world rankings, this stallion holds the third position. 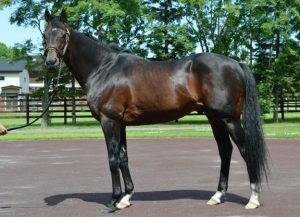 As of 2017, this stallion managed his sixth consecutive win in the Japanese sires’ championship. The stud fee for Deep Impact is £264,000. A classic example of why this stallion is so expensive is the price which some of his offspring bring. Stud fees for Dubawi come in at £250,000. This stallion holds the second place in the world rankings. The recent performance of the G1 winners which consisted of eight of them added to this stallion’s accolades. Another impressive stallion with many accolades. This horse holds 6th position in the current world rankings. Stud fees are £187,000. Currently War Front has 564 foals that are now at racing age. On average he breeds about 110 mares each year. He currently holds the 9th position in the current world rankings. He is quickly gaining recognition as being a top stud. He has already sired two impressive winners. One of these is Taghrooda. The other is Sea the Moon. These were just from his first crop. In his third crop, Harzand is an outstanding performer. Curlin came from a mere stud fee of £25,000 in 2014 up to an impressive £112,000, in 2017. Throughout this time period, he has sired some impressive off springs. The performance of the stud during a show is the starting point for a horse to become an exceptional stud. However, it is who they sire and what they accomplish that really raises the value of their stud services.